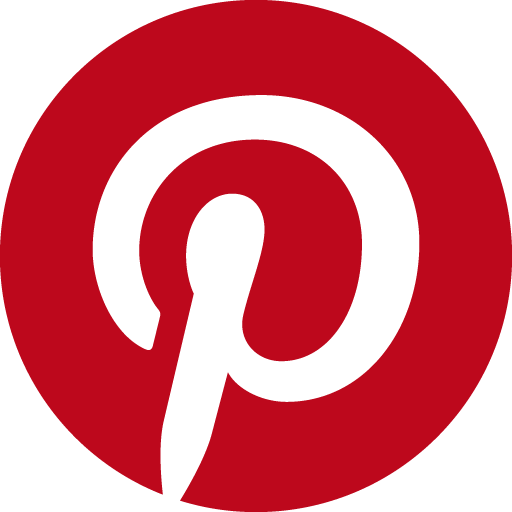 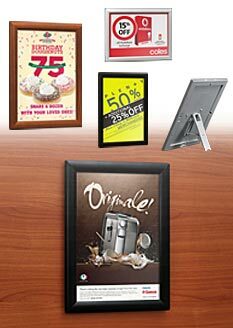 Clip frames or snap frames, as they’re also known, are a cheap and effective way to display any advertising poster. 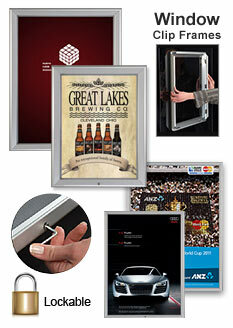 These poster frames snap open on concealed hinges allowing you to change your poster in just seconds. 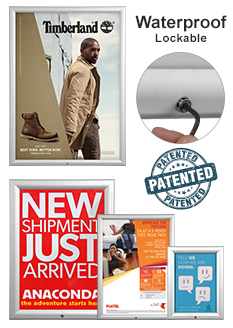 This simple mechanism, combined with their low cost, has made them the most popular form of retail poster display on the market today. 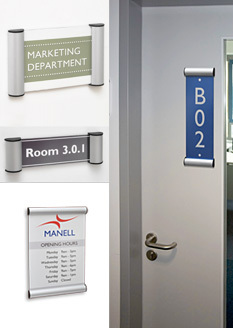 All our clip frame models come in an array of standard sizes, such as A0, A1, A2, A3 and A4 frames, but we also stock some larger and unusual sizes. 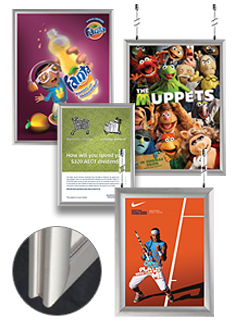 We are able to manufacture custom clip frames for large order and if you would like to have some branding on your poster displays, we can screen print your company logo on the frame. 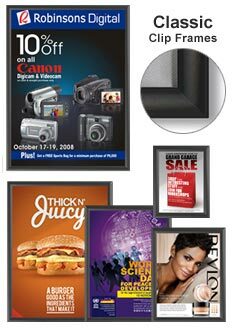 Our DY-05 clip frames, or snapper frames, are our most popular model due to the fact that they are so cheap yet a great quality poster frame. 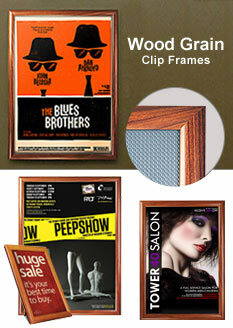 The extruded aluminium profile is thin and stylish and allows use to sell this model of snap frame at wholesale prices. 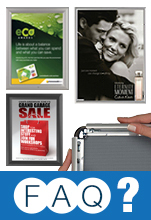 If you are after a heavy duty retail poster frame with the convenience of snap open frame, you might be interested in our DY-01 range, which is available in both silver and black frames. 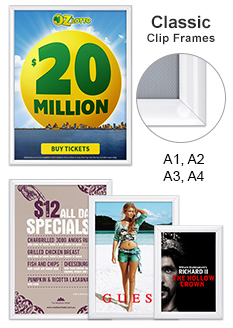 Double sided poster frames are perfect for hanging from the ceiling of your establishment, thus allowing you double the bang for your advertising buck. 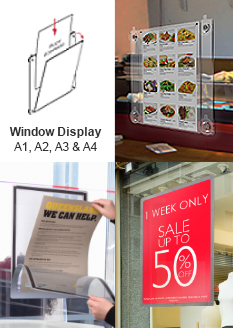 We have an exclusive double sided clip frame profile that is available in A0 through to A4 frames and you can choose to purchase it with or without stainless steel cable and hanging hardware. 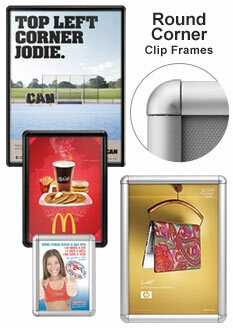 Another new snap frame sign holder in our range is window snap frame model. 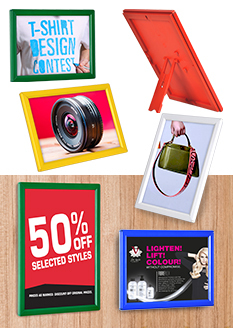 This double sided poster frame adheres to the glass of shop windows, allowing the user to display posters both inside, to people shopping in his or her store and also to those people passing by the outside of the window. 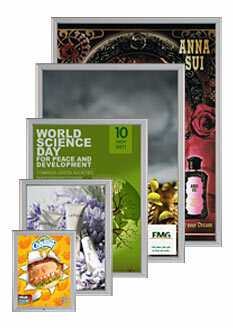 They can be used really effectively in conjunction with an eye catching window display. 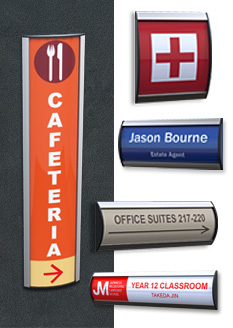 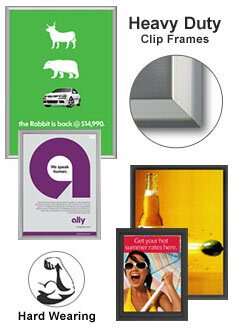 We also have a wide range of other products for displaying your advertising posters. 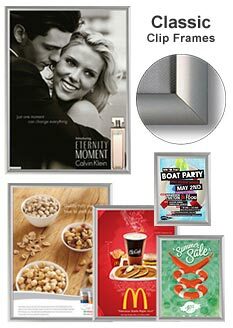 The SDN Media Holder is an exclusive poster display for use in upmarket retail displays and architectural or interior design applications. 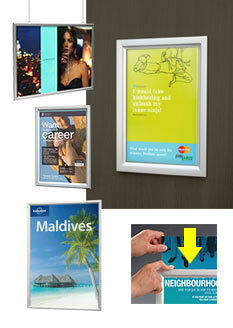 Our range of Poster Stands also uses easy-change snap frames. 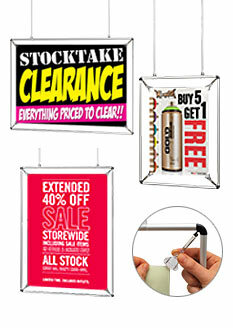 If you need an outdoor poster display, take a look at Lockable Poster & Sign Frames. 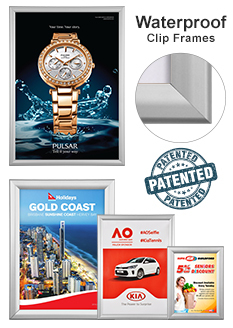 Slimline Warehouse delivers to Melbourne, Brisbane, Sydney, Perth, Adelaide, the Gold Coast, Canberra – everywhere in Australia and even internationally. 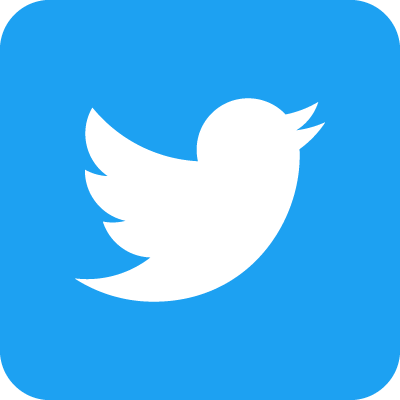 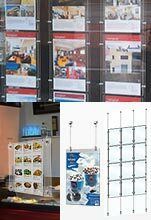 We have thousands of shop displays, display stands and lightbox signage products in stock now and ready for same day despatch.